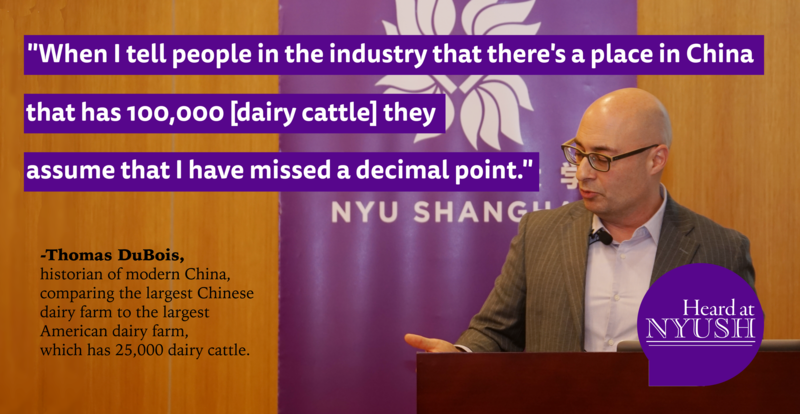 Here’s a few minute-long clip from my talk at NYU-Shanghai last February. It’s a very impressive campus, with a great deal of activity, and a nice audience who seemed interested in milk. I’m not sure if people will be quite as excited to hear me talk about the meat industry, but the two topics really go together, since all those dairy cows need to be impregnated, and the calves…well, let’s just say they don’t end up going to college.